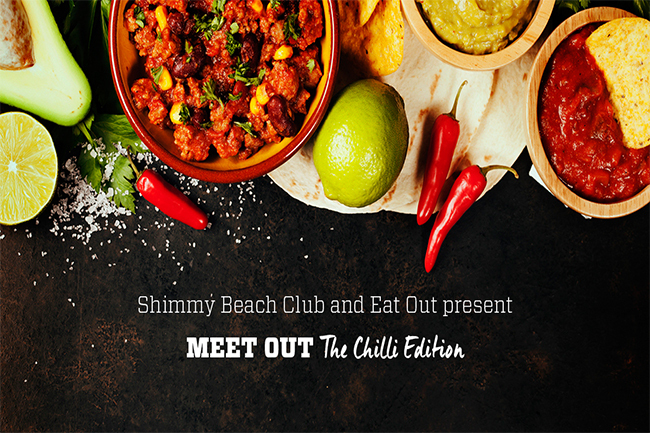 As winter rolls in and beach days are few and far between, Shimmy Beach Club has partnered up with Eat Out to take you on a culinary exploration of the world’s hottest fruit – the Chilli! Join in for a relaxed, fun-filled evening where you are invited to enjoy a 12 course canape-style feast, each mouthful a celebration of chilli in all its forms. Meet and mingle with like-minded foodies in a warm and relaxed setting, sample beer, wine and spirits from local vendors and learn more about chilli, to the live musical accompaniment of Los Gitanos. Tickets are limited so get yours now.